"Don't ever, for any reason, do anything for anyone, for any reason, ever, no matter what. No matter where. Or who, or who you are with, or where you are going or... or where you've been... ever. For any reason, whatsoever." On that note, I wonder why those manufacturers who joined happily in, did not kick nVidia out of their brands and made new brands/product lines for nVidia. Why did they instead kick out AMD's cards away? It really does not matter what he or anyone says. Only thing that matters is what they did. "we want gamers to..."; "And we felt that..."
They wanted something because they felt like something. And so they imposed their will upon AIBs. The level of Huang's arrogance is quite astonishing. Nvidia gets so much money from gamers, but Huang is looking down on gamers as if they were all blistering idiots who don't know or understand anything. It shows how strong a company's position is when the CEO can call their own customers morons publicly. Better not comment here or people might get bashed for not bashing Nvidia. Like the giant logos AMD and NVIDIA both put on the box? Or the even bigger text spelling out exactly which GPU it is although third party designs or well non-reference models tend to have names are OMG1337LEDWOW so yeah that can be a bit of a throw off but it's usually also in tandem with the actual GPU model name and manufacturer of said GPU so it should be a non issue really. It's not *that* difficult even if "Ohh shiny box, must buy." takes hold or whatever the GPP was supposed to alleviate. EDIT: And AMD which follows the same design, it's even color coded. EDIT: So yeah even without GPP just looking at the box should be clear enough, attention span deficit and all that but we're not quite at that level yet, I hope ha ha. But what do I know, 30+ years old so probably way outside of the teenage-gamer target group what with shiny blinking lights and what not. JonasBeckman dude, is this like the amd brand? Radeon right? Well, there are similar looking boxes like MSI have but there are still big geforce and radeon names on them. Whatever manufacturers add like gaming, ROG etc. is just random nonsense. Heh yeah just as GlennB above posted they solved a problem which didn't really exist in the first place. Or at least made it sound like they were working on making it more clear what you're buying but retail hardware store well they're usually stored separately instead of mixed and for online there's all kinds of listings and categories to sort products by so even less of a risk there and even just skimming through the text they usually have the product name and vendor listed more prominently plus the box image and then images for the GPU itself and all that. GPP wouldn't really do much for reselling via bidding sites or similar either and for custom designs even these often follow the same design by having the GPU name listed too along with vendor and then EVGA, Sapphire or whoever in addition to the custom cards name such as Kingpin or Nitro. 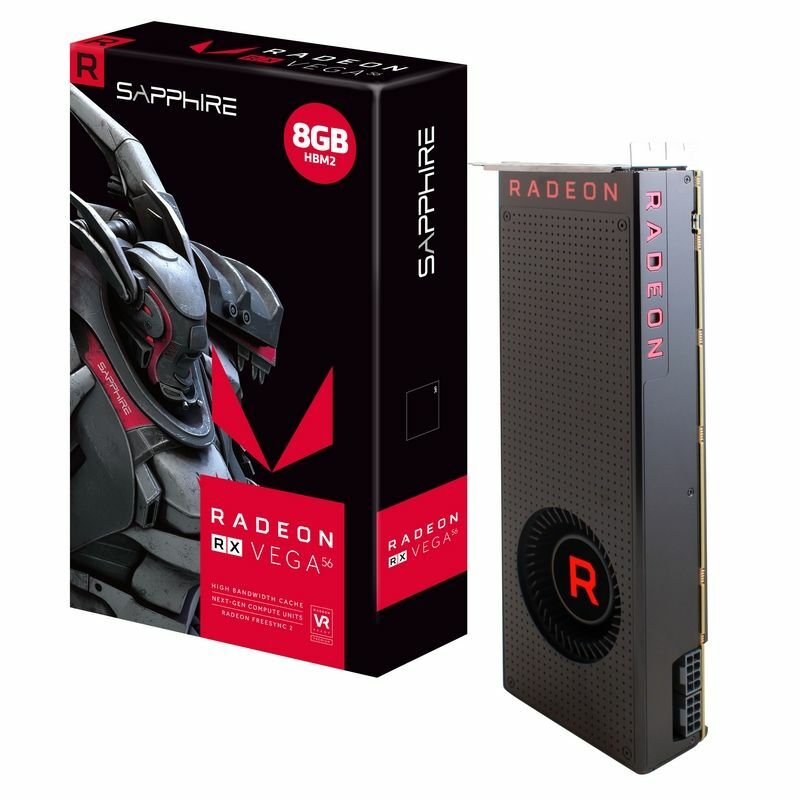 Ah the above is a good example too but yeah even here the GPU vendor and name are displayed on the front and very clearly visible without other design elements obscuring anything. Perhaps having something like GamingX recognized as only NVIDIA might mean something but actually buying the product all this other info would very quickly tell which vendor and GPU type is used even if it's the same non-reference GPU brand name for them. Besides NVIDIA GamingX on it's own wouldn't really clear up if it's a 1050, 1060, 1070, 1070ti, 1080 or 1080ti would it. GamingX is now NVIDIA but that on it's own doesn't really seem like it accomplishes anything other than AMD having to have their GPU's under a different name. I suppose there's something for brand loyalty and recognition and some hardware enthusiasts swearing by certain names but I don't know, might be looking at it wrong. What's in a name I suppose and the power of brand loyalty and such stuff. We'll never really know the full extent of the deal and agreements and NVIDIA's actual goals and how they intended for this to have worked and with a lot being verbal or implied as it seems then there's not much signed info on the contract itself available is there? What a good guy that CEO. It's not like he's trying to monopolize the well established and recognizable brands that AIBs have poured millions into over the years, no. He's only trying to help the poor, stupid customers. The answer to that is quite obvious, isn't it? NVIDIA is the clear market leader in GPU space right now and has been for the last couple years. If AMD can close the performance and marketshare gap, the reaction might be different. That pic gives a lot of weight to Huangs argument. If someone can't tell those two apart then that person has no business entering a PC hardware store and even less business opening a PC case and trying to install anything. That's why Huang's excuse is nothing but a lousy excuse when the real purpose was obviously trying to limit competition. When this whole thing became news back in the day, I didn't care so much about it as those brands don't matter so much to me, but once it was revealed how draconian Nvidia was about it, who could anymore condone it? You know, people can even find a yoghurt with no/low fat or normal fat among the selection in a grocery store. Maybe Huang can't, but most people can. I'm pretty sure they can choose the GPU they want as well without the Nvidia CEO holding their hand.